As a teenager, Reshma Valliappan would graze her imaginary flock of sheep in a field of green grass before going to bed. “They say counting sheep, jumping over a fence, helps you drift off to sleep. But it never really worked for me,” says the 38-year-old from Pune who had severe insomnia. So, she turned to books, from bedtime stories to history books and boring magazines. But that only left her annoyed and awake. As sleep became elusive, Valliappan started figuring out ways to while away the hours—she would talk to fictitious friends or call up a radio station and chat with random people. Danielle Hulshizer, from United States, would be in a perpetual state of 'sleep drunkenness'. She could sleep for up to 23 hours a day, for several days straight. Sanjeev Kapoor from Mumbai was diagnosed with obstructive sleep apnoea, which is characterised by snoring and partial or complete obstruction of the upper airway. “Despite being a hyperactive kid, I had trouble falling asleep,” recalls Valliappan, who spent her childhood in Malaysia. “Unlike most kids, I would work out at least six hours a day. I would have basketball and band practice, Taekwondo and would be running around in school on my lunch break. Yet, I couldn't sleep at night.” Her teachers would turn a blind eye to her sleeping in class. Once a week, she would sleep for six or seven hours. This was her sleep pattern for several years. Valliappan then started self-medicating. “I would smoke weed and drink a bunch of other things, which would tire me out and I would crash out.” She eventually outgrew that phase as she became aware of their adverse effects. 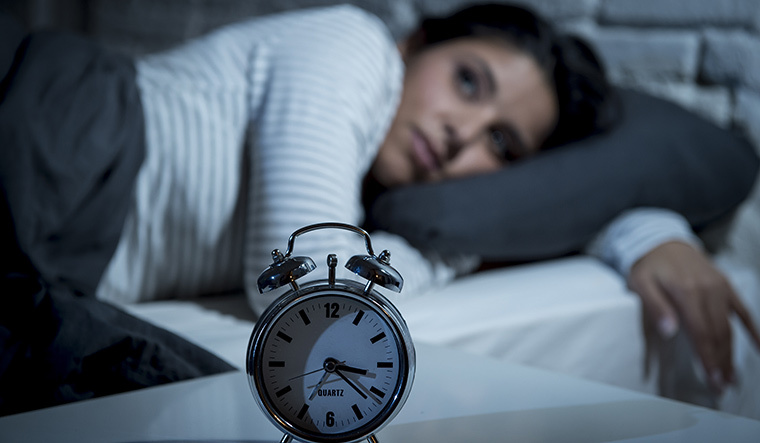 Insomnia can be a trigger for several psychiatric disorders, including schizophrenia. 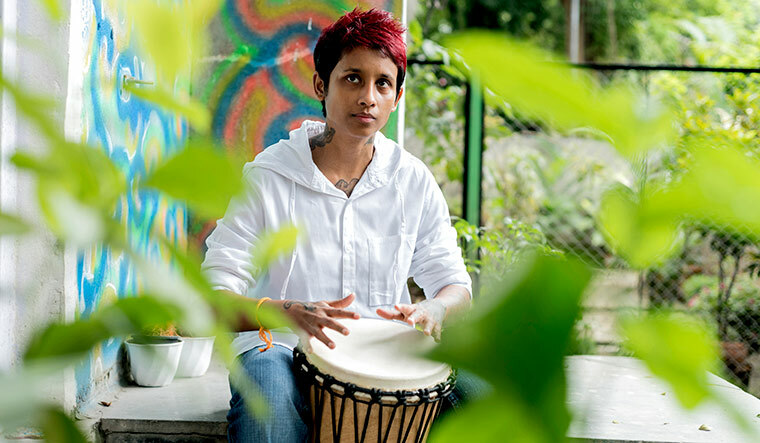 Valliappan was diagnosed with schizophrenia at 22, and her sleep problems still persist. “Sometimes I dream with my eyes open. People normally dream when they are in a subconscious state, whereas I deal with dreams in a conscious state. It feels like going mad,” she says. Valliappan also had bouts of sleep paralysis, a condition wherein your mind is awake, but the body remains in a paralysed state. “Sleep paralysis occurs when you wake up during REM sleep, and your body still remains paralysed due to a mismatch between wakefulness and sleep,” says Dr Ravi Gupta, additional professor, department of psychiatry, All India Institute of Medical Sciences Rishikesh. Then there is Danielle Hulshizer, 39, from Boca Raton in Florida, United States, who would be in a perpetual state of 'sleep drunkenness'. She could sleep for up to 23 hours a day, for several days straight. Without stimulants, she could not stay awake even for a few hours. As a teenager, Hulshizer would complain of being tired all the time. Her family and teachers thought her fatigue was a result of her physical exertion—a competitive figure skater, she would get up around 2am and would be on the ice rink until she had to leave for school. Staying awake became progressively harder for Hulshizer as she got older. “It seemed the harder I tried to stay awake, the faster I would crash,” she says. Hulshizer developed tremors and migraines, which were likely side-effects of the drugs she took. Once she had a migraine that lasted for over a month. “Every waking moment was pure agony,” she recalls. She sought counsel from many medical specialists and was put on anti-migraine drugs. They didn't help much, and she ended up taking more medications to counteract their side effects. “At one point, I think I was taking something like 17 pills per day,” she says. Hulshizer finally got to the point where she was unable to function, at home or at work. Her tremors were so severe that she couldn't eat food—her shaky hands could barely hold the spoon, and the food would fall off before it reached her mouth. A colleague would have to sign her in to meetings, or take notes for her because she couldn't hold a pen steady. Around that time, Hulshizer saw a neurologist at Emory University in Atlanta. He suspected her health problems were associated with her sleep patterns. He reached out to his colleague, Dr David Rye, professor of neurology at The Emory Sleep Centre and director of research for Emory Healthcare's Programme in Sleep. Rye diagnosed Hulshizer with idiopathic hypersomnia. People with this condition sometimes sleep for up to 50 hours continuously. Rye says people with idiopathic hypersomnia feel sleepy all the time because of “what has been referred to as an endozepine or a naturally occurring bodily substance, detectable in one's cerebrospinal fluid”. 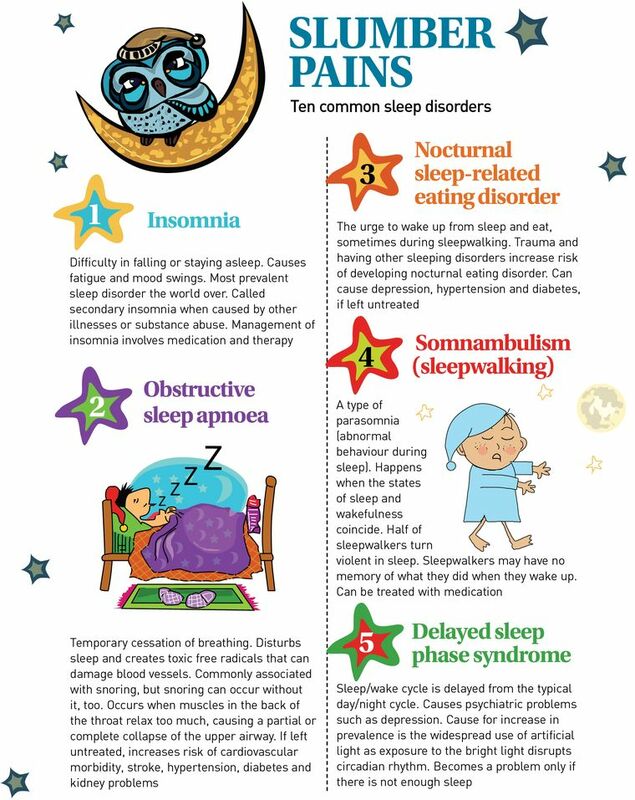 Individuals suffering from any of the above symptoms may benefit from having a sleep study or polysomnography done, which can assess their sleep quality and patterns and determine if they suffer from any sleep disorders. 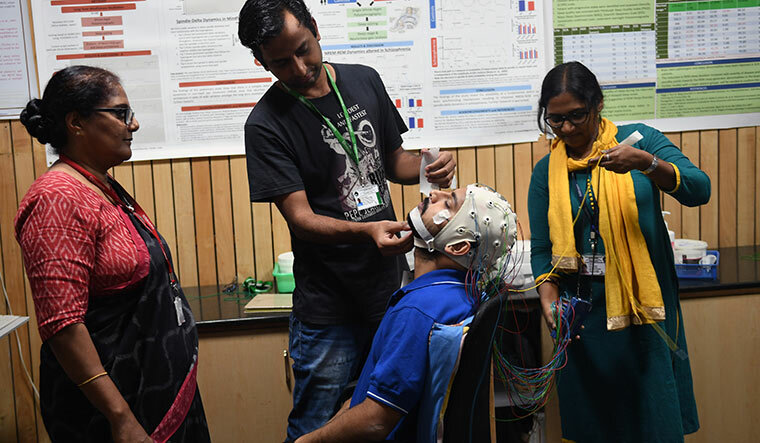 “We have got a state-of-the-art Human Sleep Research Laboratory to undertake whole night studies on sleep,” says Dr Bindu M. Kutty, professor and head, department of neurophysiology, National Institute of Mental Health and Neurosciences (NIMHANS), Bengaluru. Sleep science has made giant strides in recent times. New studies offer insights on ways to sleep better and tackle sleep disorders. Sleep scientist Dr Daniel Gartenberg's prescription for improving deep sleep is unbelievably simple: all you have to do is listen to certain sounds during sleep. “These sounds are at the same burst frequency as your brainwaves when you are in a deep sleep. The sound patterns prime your mind to have more of regenerative delta waves,” says the sonic sleep coach from New Jersey who is currently based in New York. Dr Dmitry Gerashchenko, assistant professor at the Harvard Medical School in Massachusetts, says that you can even improve your memory by playing some sounds during sleep. According to Dr Nicole Tang of the University of Warwick, UK, sleep is an investment in health. Good sleep boosts the immune system and keeps diseases at bay. If you are looking for more comfortable and smarter ways to stay healthy, make sure you are getting a good night's sleep. People who get six to eight hours of regular sleep tend to be more active and make healthier choices throughout the day. But not everyone can sleep like a baby. A study conducted by the Himalayan Institute of Medical Sciences in Dehradun in 2016 found that a significant number of people living at high altitudes suffer from poor sleep. “Around 20 per cent of people in the districts of Dehradun and Chamoli in Uttarakhand are not getting enough sleep. One in every five people in these places do not wake up feeling refreshed,” observes Gupta, who was part of the research team at HIMS. Inadequate sleep can lead to serious health problems. “Sleeplessness puts one at a higher risk for cardiovascular problems, coronary artery disease, diabetes, depression and drug addiction. As people living in high altitudes don't get enough sleep, they use alcohol. This is a major health challenge,” says Gupta. RLS can lead to insomnia, which has a higher prevalence among older adults. “It can be acute (lasting a few days or weeks) or chronic (lasting over one month),” says Dr Arunesh Kumar, senior consultant, pulmonology, Paras Hospital, Gurugram. “Insomnia causes daytime somnolence (drowsiness) with loss of productivity.” Often, there is an underlying medical cause or psychiatric condition. “It is, therefore, recommended to get yourself assessed in a sleep clinic to sort it out early,” he says. 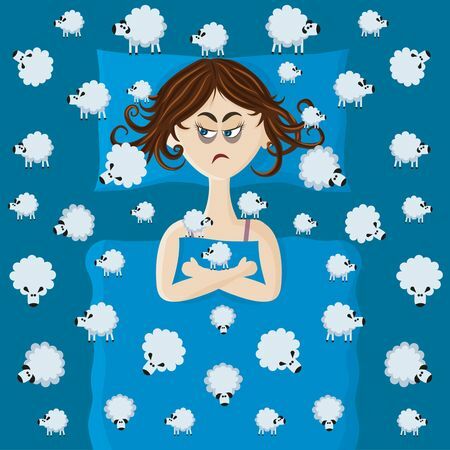 Apart from RLS, insomnia can be caused by psychiatric conditions like anxiety, stress and depression, which can coexist with conditions such as sleep apnoea, says Dr Shyam Bhat, psychiatrist and mental wellness expert at cure.fit. Cognitive behavioural therapy offers much hope to those who suffer from sleeplessness. “CBT is very effective for insomnia. Medications may be useful for short-term treatment in certain cases, but have dependence and abuse potential,” says Bhat. Over the next month, after meeting Rye, Hulshizer tried several experimental medications, had ten vials of spinal fluid taken and had more blood drawn than she could keep track of. She also underwent numerous cognitive tests on a regular basis, but to no avail. That’s when Rye and a team of scientists at Emory found that a drug called flumazenil could help such patients stay awake. Flumazenil is generally used to help bring people out from general anaesthesia when they don’t wake up normally, and also to treat life-threatening overdoses of medications known as benzodiazepines. “In patients with primary (idiopathic) hypersomnia, flumazenil brings benefit in about 40 per cent of cases where conventional wake-promoting agents and psychostimulants do not work,” says Rye. Rye shares an analogy by his collaborator and neuropharmacologist Dr Andrew Jenkins. Think of it in the context of driving a car, he says. Someone with idiopathic hypersomnia has her foot pressing on the brake, and so any pressure to the accelerator is insufficient to fully engage the brain's wake-promoting systems and conscious awareness and alertness. “Increasingly, we are appreciating that the problem is not so much of impaired wakefulness, but of an overactive sleep system—analogous to a parking brake that renders the affected in a semi-anaesthetised state for much of their time,” he explains. Such timely insights are fostering new ideas and the pursuit of several new medicinal therapies targeted at turning sleep off, and attracting a lot of interest from pharmaceutical companies. Likewise, the research on neuropsychiatric patients in the NIMHANS laboratory has led to unravelling the scientific basis of several sleep abnormalities. “Significant alterations in sleep architecture have been observed in patients with schizophrenia,” says Kutty. The appearance of sleep spindles (bursts of neural oscillatory activity) are signatures of sleep-deepening mechanisms. “In patients with schizophrenia, such sleep deepening mechanisms are reduced, as indicated by reduced sleep spindle density. They tend to have disturbed sleep, too,” she explains. Also, as a hypersomniac spends all the time sleeping, their muscles become weak, and they may end up skipping meals and losing weight. “Most affected experience profound difficulties in waking up. The morning fog simply never lifts despite one's requisite caffeine load,” says Rye. In severe instances, patients experience 'sleep drunkenness'. 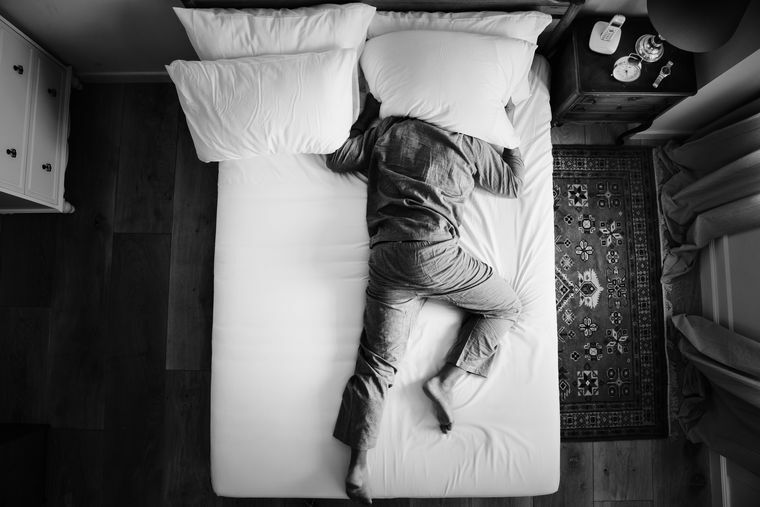 “Feeling sleepy all the time can alternatively be a symptom secondary to a medical, neurological or psychiatric condition such as depression, but can occur alone and in those instances is referred to as idiopathic hypersomnia,” explains Rye. Sleepiness was not the worst part of idiopathic hypersomnia for Hulshizer. “It is the cognitive impairment while awake. Not being able to find the right words. I have always described it as being behind a semi-transparent wall. I can see the information and mental clarity on the other side, but I can’t reach across and access it. I cannot express how deeply frustrating it is,” says Hulshizer. An increasing body of studies suggests that narcolepsy is an autoimmune disorder like diabetes, where the immune system attacks specific cells, damaging them. “Usually, there is a wall between wakefulness and sleep. In people with narcolepsy, it is taken away. So they are able to jump over it more easily,” says a science writer at the Emory University School of Medicine. Genetic factors and common infections are also suggested as risk factors for narcolepsy. Research shows that there is a link between snoring, sleep apnoea and gout. The tissue breakdown due to low levels of oxygen in the body can lead to a rise in the uric acid levels and cause gout. Numerous studies show a strong association between sleep disorders and hypertension, too—nearly 50 per cent of patients with high blood pressure have obstructive sleep apnoea (OSA). 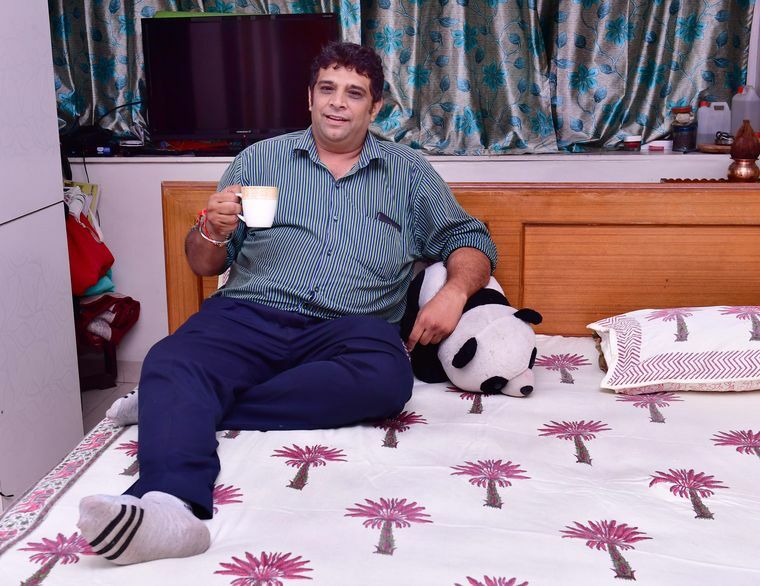 Sanjeev Kapoor from Chembur in Mumbai was a loud snorer. Neither his wife's complaints nor his son making fun of him would stop him from snoring. The 48-year-old businessman would get up at 7.15am but never feel refreshed. “I would feel exhausted and sleepy throughout the day,” recalls Kapoor. Kapoor, who weighed 105kg was under treatment for gout, hypothyroidism and high cholesterol. But he never took his snoring seriously. So when his doctor prescribed him a sleep test, he was flummoxed. Kapoor was diagnosed with severe OSA, a condition characterised by snoring and partial or complete obstruction of the upper airway. The test revealed that Kapoor had nocturnal choking episodes, too, wherein the breathing would suddenly stop for about 20-40 seconds during sleep. There is another culprit behind airway obstruction. In a majority of patients, the blockage is caused by the tongue, says Dr Rajesh Raveendranathan, a neuromuscular temporomandibular joint (connects the jawbone to the skull) and sleep medicine specialist based in Bengaluru. “With the help of jaw tracking devices, we can find out where exactly the jaw should be and realign the jaw, if required, so that the tongue does not fall back and obstruct the airway,” he says. Kapoor was prescribed a CPAP (continuous positive airway pressure) machine, but soon he had to switch to a Bi-PAP (bileval positive airway pressure) one, as the pressure wasn't enough. “I rent it for 0350 per day,” he says. “The machine which has a mask attached to it allows pressurised air to be delivered to the airways and ensures uninterrupted oxygen supply to the brain and the rest of the body.” He has also lost 8kg, and made some changes in his diet. “My energy levels have improved a lot,” he says. His uric acid levels are also normal now. Does your partner complain that you grind or clench your teeth during sleep? Studies show that night grinding and clenching are common signs of sleep apnoea. “As a physiological response to the reduction in oxygen levels in the body, the tongue pushes forward, dragging the lower jaw along with it. This ends up as either grinding (which is audible) or clenching (not audible),” explains Raveendranathan. Constant clenching or grinding could result in pain in the jaw joints and muscles, and these patients often complain of morning headaches, he says. Also, obesity hypoventilation syndrome, a variant of OSA seen among people with obesity, could cause pulmonary arterial hypertension and right heart failure. Tonsillitis, too, can cause sleep disorders in some children. Large tonsils could block the airway, forcing the child to start mouth breathing. Ayurveda has much to offer to people with sleep disorders. 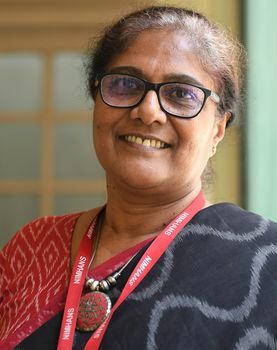 “We have demonstrated the efficacy of manasamitra vataka (an ayurvedic compound formulation that is a potent anxiolytic) and shirodhara treatment to restore slow wave sleep state, which determines the restorative aspects of sleep as well as the sleep deepening thalamic cortical mechanisms such as delta-spindle activity,” says Kutty. Also, acoustic stimulations as well as low threshold transcranial alternating current stimulations improve sleep and ensure sleep stability. “This preliminary study was carried out on healthy subjects. Such attempts would help us to find solutions in the management of sleep abnormalities associated with neuropsychiatric diseases,” she says. Researchers at NIMHANS have undertaken elaborate studies on the role of meditation on sleep. “Senior Vipassana meditation practitioners, between 50 and 60 years, could retain a proper sleep organisation with enhanced slow wave sleep and REM sleep states, with increased melatonin levels (which is essential for sleep maintenance),” says Kutty. Diagnosis and treatment of sleep disorders can be an expensive affair. A sleep study costs around Rs10,000, while the CPAP and BiPAP machines could cost Rs40,000 to Rs60,000. Also, people with morbid obesity who don't respond to CPAP or BiPAP therapy may need to have the excessive fat removed surgically. 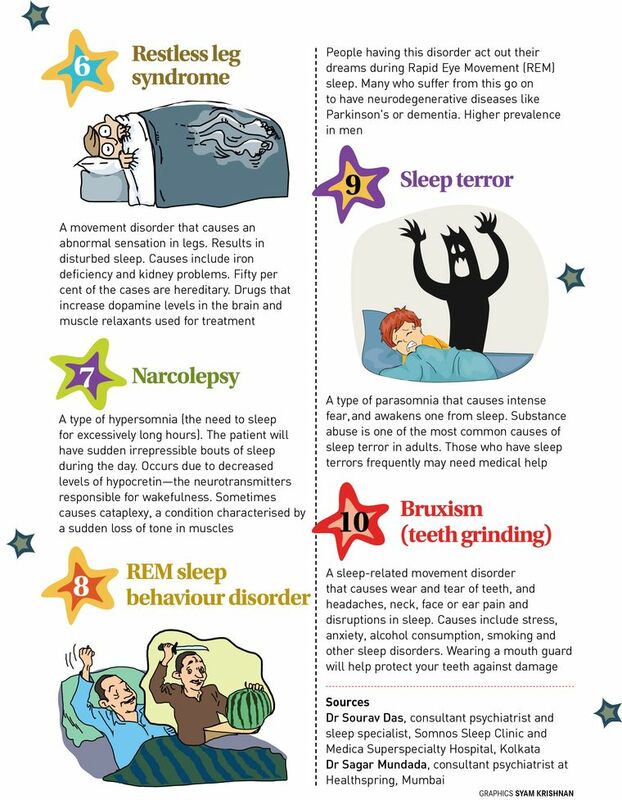 Untreated sleep disorders can turn life-threatening. “Almost 90 per cent of all sleep deaths we attribute to cardiac arrests are actually caused by long-term untreated obstructive sleep apnoea. If you have snoring and night grinding caused by airway stress, you are likely to have a cardiac attack in 20 years,” warns Raveendranathan.